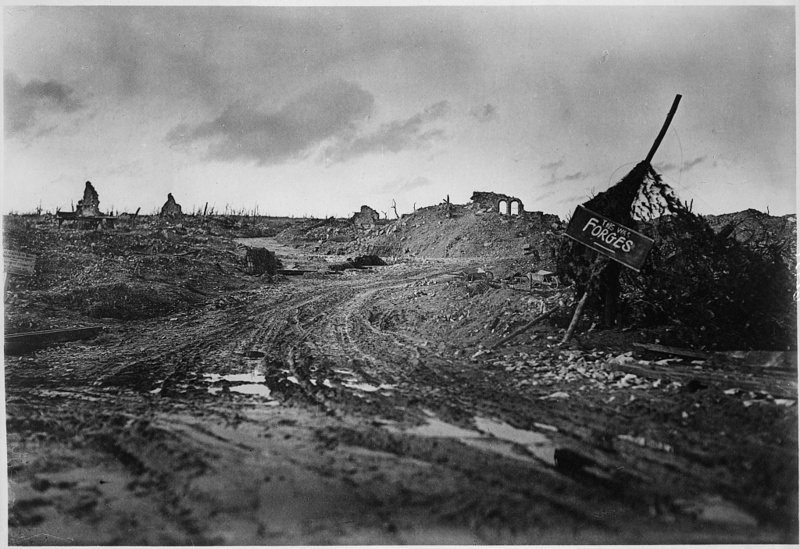 Panoramic view of an almost totally destroyed town; Sign reads, "this was Forges." Photo taken in 1918. It was both a “horrible and wonderful spectacle.” That’s how Roger Lewis, a Manchester, Iowa native, described the view from his billet near the town of Monthairon, France, where he was stationed with the 110th Ammunition Train during World War I in 1919. They were situated in the Meuse River valley, and Roger reported the soldiers could see gently rolling hills for miles in either direction. Iowa History, a weekly column, appears at IowaWatch on Saturdays. Cheryl Mullenbach is a former history teacher, newspaper editor, and public television project manager. 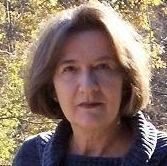 She is the author of four non-fiction books for young people. Double Victory was featured on C-SPAN’s “Book TV” and The Industrial Revolution for Kids was selected for “Notable Social Studies Trade Books for Young People.” Her most recent book, Women in Blue traces the evolution of women in policing. The company had moved to their new location in November 1918 after the Germans had “made things just a trifle too interesting” for them to “live peaceably” in their previous location. Their new billet was an old barn in a pine woods that Roger said was quite comfortable. However, he admitted the old camp had been a bit more luxurious. Consisting of an abandoned furniture factory and several nice houses with fireplaces in each room, Roger claimed it was the best place he’d lived since his arrival in France. The furniture factory contained old cane-bottom chairs, and that gave Roger and his army buddies an opportunity to do something they hadn’t done in a very long time — sit on a chair. Roger’s army duties were lightened by the occasional letter from home. One day he received seven, including some “Kodak snaps.” But in a letter sent home to his parents, he asked for some blank writing paper and a stick of Yucatan chewing gum. Roger missed the annual Thanksgiving dance at the Manchester armory; but “by George, I’ll make up for it when I get home” he wrote to his parents. Iowa History, a weekly column by Cheryl Mullenbach exploring Iowa history, will appear on IowaWatch on Saturdays. Mullenbach is a former history teacher, newspaper editor, and public television project manager. She is the author of four non-fiction books for young people. Double Victory was featured on C-SPAN’s “Book TV” and The Industrial Revolution for Kids was selected for “Notable Social Studies Trade Books for Young People.” Visit her website at http://www.cherylmullenbachink.com/. “Every eye is turned upon her, every voice is hushed, and everyone leans forward so they may catch her every word.” It was a beekeepers’ national convention held in the mid-1870s, and the person who was about to speak was an Iowan. Her name was Ellen S. Tupper. She was known as the Bee Queen of Iowa.